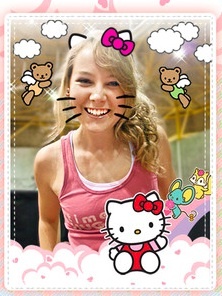 As the name of the app states, Hello Kitty Booth is for making fun pictures with the help of Hello Kitty. 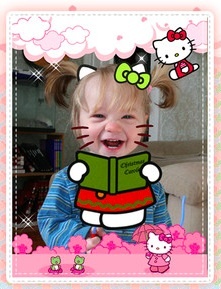 You can add the fun of Hello Kitty to pictures in your iPad Photo Library or one take with your iPad camera if you have a iPad2. Once your viewing the image within Hello Kitty Booth, insert props by simply drag-n-drop from over 100 hundred fun bits. Includes things like bows, headbands, friends of Hello Kitty and even editable text. When you have your image, er… your kid’s image, all ready to go, add a frame and save to your iPad’s Photo Library. You can also upload directly to Facebook or create/print a post card with the image via AirPrint. We would like to say this is an app only found around the home, but we just know a near future party announcement will be going around the office with pictures all fixed up with Hello Kitty stuff.